JourneyTEAM is a Gold Certified Microsoft Dynamics Partner headquartered in Salt Lake City, Utah (UT) with additional offices in Nashville, Tennessee (TN) and Salinas, California (CA). JourneyTEAM specializes in providing implementation, support and training for Microsoft Dynamics CRM (Customer Relationship Management), Microsoft Dynamics GP (formerly Great Plains), and Microsoft SharePoint. JourneyTEAM provides Dynamics CRM solutions for companies across a wide range of industries, including distribution, financial services, manufacturing and professional services. 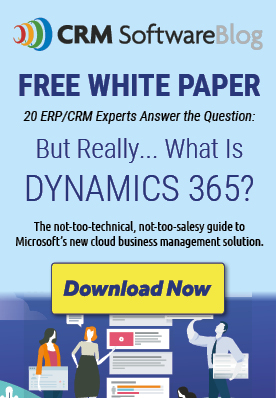 JourneyTEAM also has expertise in providing Microsoft Dynamics CRM as an XRM application. JourneyTEAM can leverage Microsoft Dynamics CRM as a platform to provide quick solutions to meet specific business needs not typically handled by CRM. Our consultants have years of experience and expertise providing business software consulting solutions that meet our clients' needs. We are committed to providing solutions on time and on budget to ensure that our clients receive positive ROI.